The availability of reliable, safe water supplies is crucial to the health and livelihood of communities throughout the world, particularly in semi-arid environments. With experts in hydrology, hydrogeology, and related disciplines, DBS&A provides technical guidance that can be relied upon to ensure optimal development, use, and management of groundwater, surface water, and recycled water resources. 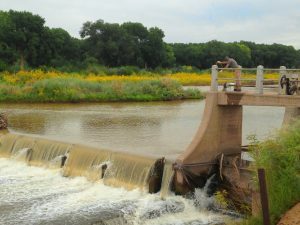 DBS&A conducts specialized technical analyses to support water resources management decisions such as evaluation of stream-aquifer interactions, quantification of recharge rates, aquifer characterization, and computer modeling. Additionally, our broad environmental expertise allows us to draw on other specialties, such as cleanup of groundwater contamination, that are relevant to impacted or threatened public supplies. Our graphic design, geographic information systems, and database capabilities allow us to efficiently and effectively store, retrieve, analyze, and present water resources data to technical audiences and the public. Geochemistry applies chemical principles to solve hydrologic and geologic problems. Geochemists at DBS&A evaluate the chemical composition of groundwater, surface water, sediments, and rocks to determine the distribution and movement of elements in these natural systems. DBS&A’s geochemistry experience ranges from examination of natural conditions in groundwater and surface water to inorganic and organic contamination issues. Our geochemists have the capability to assist our clients with projects ranging from comparing water quality with state, federal, or tribal standards to computer modeling of complex geochemical systems at superfund, industrial, landfill, or mine sites. Understanding the past, present, and future movement of water and contaminants in the hydrologic cycle is essential to making wise environmental decisions. One of the most advanced methods available to gain this understanding is computer modeling, and its applications are highly diverse. Computer modeling is a vital component of our suite of professional services. DBS&A’s computer modeling capabilities cover a full spectrum, ranging from the application of simple analytical solutions to state-of-the-art, highly complex numerical computer codes. Our projects range from detailed simulation of the subsurface flow and transport within a small area, to simulation of groundwater recharge and flow through geologically complex aquifer systems over an area of hundreds of square miles. In support of our simulation efforts, DBS&A offers advanced database services and geographic information system (GIS) technology for analysis of site data. The strength of our modeling group lies in the combination of extensive practical experience and strong academic backgrounds. Our modeling professionals have published their findings in peer-reviewed journals and have been selected by the EPA to develop computer codes and guidance for national dissemination. DBS&A consistently meets the challenge to develop new and innovative simulation approaches to address the needs of our clients. Communities can extend their limited water resources with a well-managed water recycling and reuse program and managed aquifer recharge (MAR) for conjunctive management of surface water, groundwater, and recycled water resources. Water can be recycled by reusing treated wastewater for beneficial uses such as landscape irrigation, industrial processes, and replenishing a groundwater basin (groundwater recharge). With adequate treatment, water can sometimes be reused for human consumption—either directly or by blending with another supply source. Using reclaimed water has other benefits besides augmenting a water supply. Decreased wastewater discharges may reduce waste loads to receiving waters. Reclaimed water has also been used to enhance wetlands and riparian habitats. Managed aquifer recharge (MAR), also known as aquifer storage and recovery (ASR), allows water managers to store excess supplies available only seasonally for use during peak periods of demand. Water is recharged to the aquifer system and recovered at a later date. Because MAR relies on water storage in the subsurface, communities save water that would be lost to evaporation if stored in a reservoir. Based on our expertise in vadose zone processes, DBS&A has become a national leader in design and implementation of MAR systems using surface infiltration and direct injection recharge methods. 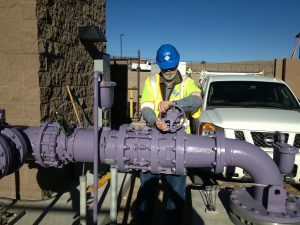 Direct Injection Aquifer Recharge Facility: DBS&A is using reclaimed wastewater—a reliable, drought-proof water source that can be tailored to meet the needs of specific end uses ranging from irrigation to indirect potable use—for the City of Rio Rancho, New Mexico. When the demand for reuse water is low, the purified water source can be stored in surface reservoirs or subsurface aquifers. Aquifer storage offers the advantage of nearly infinite capacity, preservation of the quality of the purified water source, and elimination of water losses associated with evaporation from open surface reservoirs. 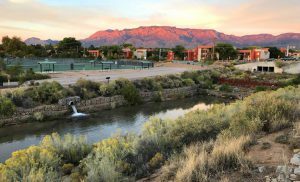 The Albuquerque Bernalillo County Water Utility Authority’s Bear Canyon Recharge project is the first full-scale permitted recharge project in the State of New Mexico. 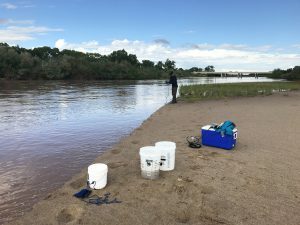 This project involves releasing bank-filtered surface water into an arroyo channel during winter months, allowing it to infiltrate through the 500-foot-thick vadose zone profile and recharging the Middle Rio Grande Basin Aquifer. The underground storage and recovery (USR) permit from the New Mexico Office of the State Engineer (OSE) allows the Water Authority to recharge up to 3,000-acre-feet per year. DBS&A designed and implemented the demonstration project, including significant monitoring to demonstrate the effectiveness of the recharge methods. Due to the success of the demonstration project, the OSE established a storage account for the recharged water. DWTP Large-Scale Recharge Demonstration: This project will involve recharging potable water using one aquifer storage and recovery (ASR) well and one vadose zone well at the Water Authority’s Drinking Water Treatment Plant (DWTP). The Water Authority has obtained the demonstration project permit, and demonstration project recharge well drilling, construction, and aquifer testing are complete. Depending on performance, up to nine additional vadose zone wells may be installed for the full-scale project, with a maximum recharge capacity of 5,000 acre-feet per year. San Antonio Creek Spreading Grounds Rehabilitation Project: This project is intended to increase groundwater storage and recharge in the Ojai Valley Groundwater Basin by rebuilding abandoned diversion works, rehabilitating the spreading ground basins, and constructing aquifer recharge wells adjacent to San Antonio Creek in the Ojai Valley, California. DBS&A, in conjunction with other stakeholders, bore the idea of spreading grounds rehabilitation as a means of augmenting basin yield. 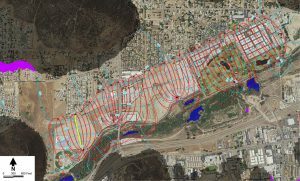 DBS&A, under contract with the Ventura County Watershed Protection District, completed a full engineering design for diverting a portion of the precipitation typically lost downstream to rehabilitated spreading grounds and aquifer recharge wells. This will result in greater groundwater storage and production from local water supply wells and less reliance on limited surface water supplies. A depth-discrete monitoring well was installed near the spreading grounds to monitor the effectiveness of the recharge project. Mariposa Water Reclamation Facility: This City of Rio Rancho, New Mexico, facility was permitted to recharge reclaimed wastewater through a two-acre infiltration gallery. Water movement through the 500-foot-thick vadose zone profile is monitored using heat-dissipation sensors, advanced tensiometers, suction lysimeters, neutron logging, and routine monitoring of groundwater levels. Water that reaches the aquifer will offset surface-water depletions caused by Rio Rancho groundwater pumping. El Paso Water Utility and American Water Works Association Research Foundation: DBS&A performed pilot testing of different artificial recharge methods in northeast El Paso, Texas, to determine the best and most cost-effective means of recharging the Hueco Bolson aquifer with reclaimed wastewater. The primary objective was to determine if lower-cost infiltration basins or shallow vadose zone (dry) wells were feasible alternatives to groundwater recharge wells. The pilot recharge system was operated for approximately one year to evaluate the volume of water that each system could accept and to evaluate the effects of salt loading on the groundwater quality. The infiltration basin consistently allowed an average of 1 MGD to infiltrate over a 0.5-acre footprint. For a given volume of water, infiltration basins were determined to be more cost-effective than dry wells. For more information on Managed Aquifer Recharge, including the experience of our affiliate, Clear Creek, click here. DBS&A’s hydrologists assist clients in navigating regulations regarding stormwater runoff, including flood control hydraulic analysis and point source discharge compliance with the Environmental Protection Agency’s (EPA) National Pollutant Discharge Elimination System (NPDES) Municipal Separate Storm Sewer System (MS4) requirements. Our expertise includes addressing permitting challenges cost-effectively and ensuring regulatory compliance, developing stormwater pollution prevention plans (SWPPPs), and preparing stormwater quality sampling plans and programs. We review and analyze sampling data to establish the significance of illicit and stormwater discharge constituents. Stormwater quality best management practices (BMPs) are not one-size-fits-all. We help our clients to evaluate and pinpoint those BMPs that work best with each client’s unique stormwater incidence and conveyance system. Our services include water sampling, infrastructure monitoring, and preparation and implementation of SWPPPs. Where appropriate, DBS&A can assist clients in meeting stormwater discharge requirements by performing low-impact development (LID) studies and designs in order to infiltrate, evapotranspire, and reuse runoff on site. Our engineers assess the hydrologic and subsurface conditions and the capacity, functionality, and quality of the stormwater systems to develop creative solutions that solve nuisance water problems caused by flooding and/or improper and/or insufficient infrastructure. With growing concern about meeting future water demands, many communities are increasingly focusing on sustainable groundwater management. In 2014, the California Legislature passed the Sustainable Groundwater Management Act (SGMA). The Act fundamentally changes management of California’s groundwater basins and contains a number of requirements with the goal of achieving sustainable groundwater management in the areas of California that most need it. DBS&A’s water resource professionals have groundwater management planning expertise to assist communities with complying with SGMA. Click here to learn more about SGMA and other state-specific water laws and regulations. DBS&A is distinguished by an established expertise in vadose zone processes. 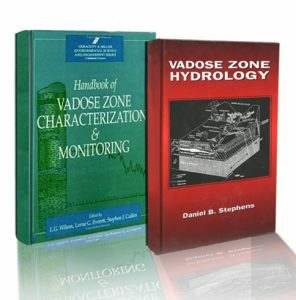 The vadose zone is the area between the ground surface and the water table and is comprised of rock and soil, and it plays a vital role in groundwater replenishment and groundwater quality protection. The vadose zone is particularly important in the western U.S., where there is sometimes a deeper water table and, therefore, a larger vadose zone that may substantially influence natural recharge of groundwater, as well as contaminant transport. Water may move through the vadose zone in a counterintuitive fashion. In some instances, under unsaturated conditions, water will preferentially flow through the finer-textured soils. There can also be considerable lateral water movement in an unsaturated condition where complex stratigraphy exists. These flow phenomena are controlled by the soil water characteristic and hydraulic conductivity properties of the various soil layers. These properties can be quantified through laboratory and field tests and incorporated into models to predict the direction and rate of water movement. DBS&A has completed many challenging vadose zone projects, from modeling fate and transport of contaminants through fractured volcanic rock to field-testing the permeability of sediment underlying a uranium tailings disposal facility. DBS&A has provided expertise on technical issues related to litigation and other investigations that have included characterization of the vadose zone and site hydrogeology numerical modeling of volatile organic compounds (VOCs), development of technical opinions regarding the source and distribution of contaminants attributed to numerous Potential Responsible Parties (PRPs), and expert testimony. DBS&A has experience evaluating salinity in both groundwater and surface water supplies. To evaluate deep groundwater quality, we perform packer testing and incremental plugging of geologic strata in wells to isolate potential brackish aquifer zones and optimize groundwater quality and production. DBS&A employs a full suite of geophysical logging capabilities along with detailed lithologic descriptions of representative geologic formation samples and innovative downhole camera techniques. DBS&A also characterizes the geochemical and isotopic composition of river water in order to identify sources of salinity. The quantity of reject water concentrate created from the desalination process is one of the most demanding problems to be resolved for successful implementation of a desalination project. Depending on the concentration of the feed water, recovery efficiencies range broadly, requiring reject water to be disposed of or put to other beneficial reuse. Methods of disposal include sewer discharge, land application, and deep well injection. Evaporation ponds require large areas of land, liner construction, and permitting challenges. 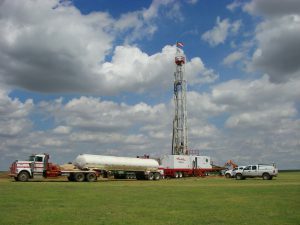 DBS&A has the resources and expertise to investigate formations for concentrated brine injection, install the required monitoring wells, and assist in acquiring the necessary permits for the deep injection wells. Project sustainability is a result of genuine stakeholder participation and the development of a viable sense of project ownership. For many projects completed by DBS&A, working closely with the public and other stakeholders is an important component. While public involvement can be critical, its planning and implementation can be time-intensive and take the focus away from the client’s primary objectives. In addition, facilitation by an objective, outside party can be most effective in managing the process of information exchange. Sound scientific data are only one component of water resources planning. Many other sociological, ecological, and environmental factors influence the decision-making process, which often results in a complex planning environment. DBS&A works with state and local governments, water districts, and private water companies to assist with making the best use of limited water resources. 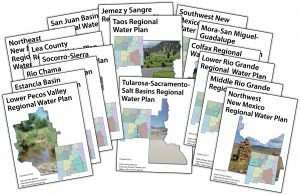 Our planners augment or support state, regional, and local water plans and programs to enhance water supply, quality, and sustainability. We regularly participate in the Environmental Impact Report (EIR) process for complex development and water use projects, including water supply assessments. Our professionals also perform water rights analyses and acquisition when needed to secure a sustainable water supply. Since public and stakeholder involvement is critical to an effective and implementable plan, we regularly conduct public involvement and stakeholder participation processes. It is essential to protect and restore vulnerable surface water and groundwater water quality due to degradation from human activities and natural processes. Water quality is the chemical, physical, and biological characteristics of water relative to its suitability for drinking or other uses. DBS&A investigates chemicals in water supplies that negatively impact water quality. 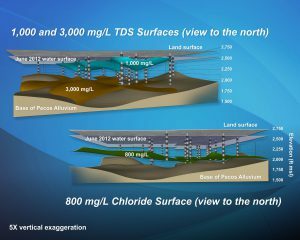 Whether the presence of constituents such as nutrients or pesticides in water resources is human caused or naturally occurring, DBS&A has the expertise to evaluate the presence, source, transport, and optimal methods for treatment of chemicals impacting water resources to meet appropriate standards for beneficial use. The recent development of more cost-effective filtration technology creates new opportunities for desalination as an alternative to costly imported supplies and in lieu of managed replenishment of overdrafted aquifers. DBS&A helps clients to develop programs to minimize seawater intrusion into fresh coastal aquifers; additionally, we provide assistance with desalination engineering of brackish or saline coastal aquifers where seawater intrusion already occurs. We can also help water suppliers to overcome common hurdles associated with aquifer and desalination projects, such as secondary brine waste disposal and management issues, and permitting challenges in ecologically sensitive coastal wetland areas. Our groundwater modelers simulate seawater intrusion into complex overdrafted coastal aquifers to achieve optimal design and placement of freshwater injection well barriers. DBS&A regularly provides technical hydrologic analyses and expert testimony for water rights applications, transfers, and disputes. 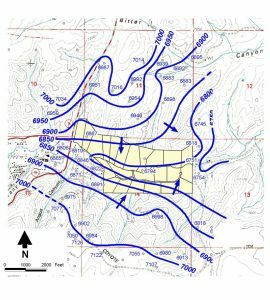 Technical analyses may include development of groundwater flow or solute transport models; identification or evaluation of the potential water resources and water rights available to support new or existing needs; hydrogeologic analyses to establish well yields, water quality, and operational safe yield of groundwater basins; and negotiation for purchase, lease, or transfer of water rights. In addition to our technical expertise, our staff have legal expertise in working within the frameworks of state adjudication and administrative processes, interstate water compacts, pueblo and tribal water rights, and other agreements and operational protocols under which water rights are administered. DBS&A works with land and resource managers to keep forests healthy and protect water quality. We have worked extensively on forest and range land in the central and western U.S., where fire danger and wildfire impacts have been a major concern in recent years. DBS&A’s professionals can create and present a short course or workshop on a variety of topics for your organization’s members. 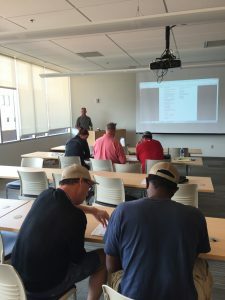 Currently, on behalf of the New Mexico Environment Department Drinking Water Bureau (NMED DWB), DBS&A offers free trainings for water systems operators, board members, and water sample technicians throughout New Mexico. Click here for the current NMED DWB training schedule and a list of past workshops. Water supply managers and operators must identify, acquire, develop, and secure groundwater for growing populations. DBS&A can help optimize well designs and other supply infrastructure, obtain permitting and funding, and acquire and manage water rights. We can also evaluate salinity in both groundwater and surface water supplies and develop solutions to address brine and residual disposal in the desalination process. DBS&A has considerable experience with the permitting, design, construction, development, testing, and maintenance of water supply wells. 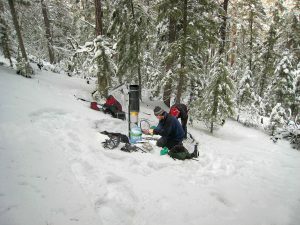 Well analysis typically includes evaluating existing hydrogeologic data to determine the depth to water, underlying lithology, anticipated discharge rate, and groundwater quality. Our experience ranges from shallow, small-capacity wells to deep, high-capacity well fields serving entire cities with growing populations. Our design activities incorporate state-of-the-art modeling and hydrogeologic analysis. Once the design is complete, we develop specifications, provide bidding assistance, and perform well construction oversight on water supply projects.